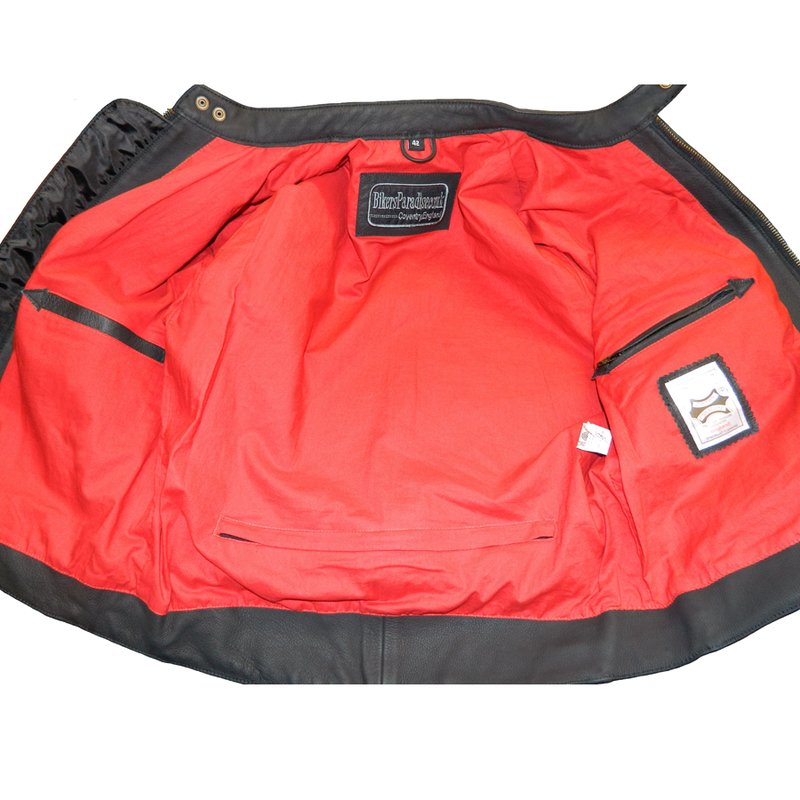 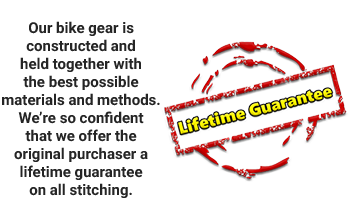 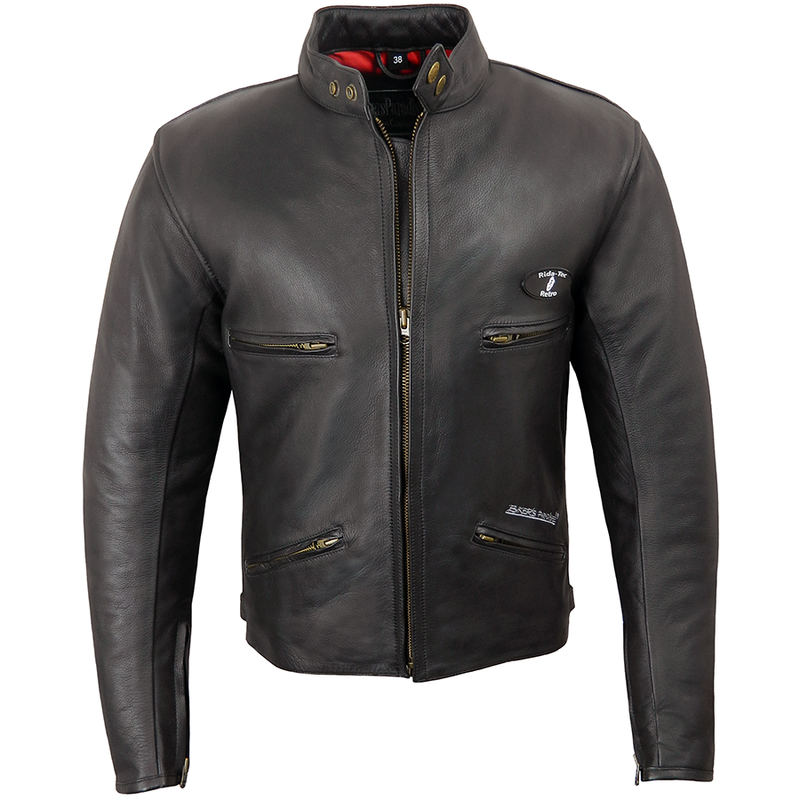 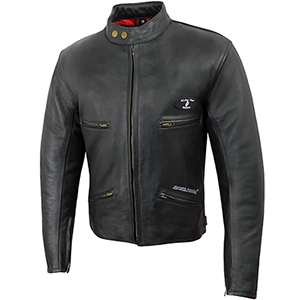 A summer weight men's leather jacket that looks great on and off the bike, that has been crafted in a stunning matt black cowhide with a red cotton lining. 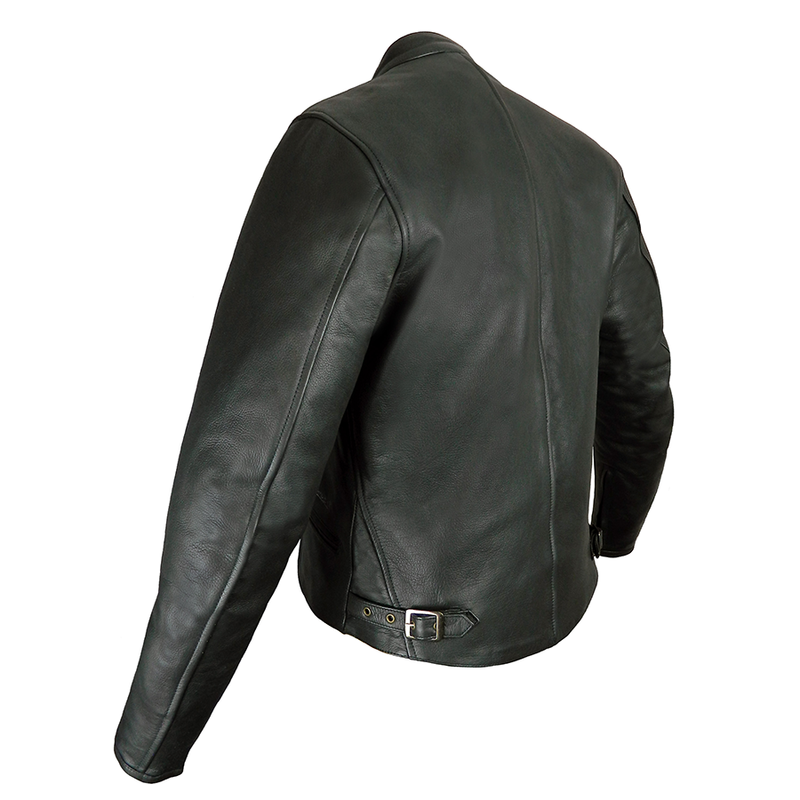 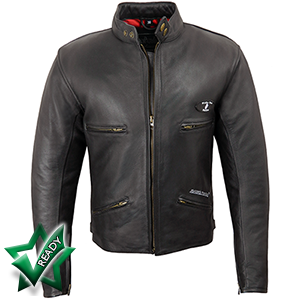 Only the highest quality materials have been used in this stylish leather jacket, from the supple 1.2-1.3mm cowhide to the thick double stitching in the most important places. If you'd like to know more about how we construct our leathers, see here. 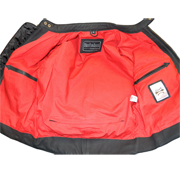 If required, you can purchase discreet CE memory armour by Viscotec for the shoulders and elbows which is fully adjustable to ensure a perfectly comfortable fit.